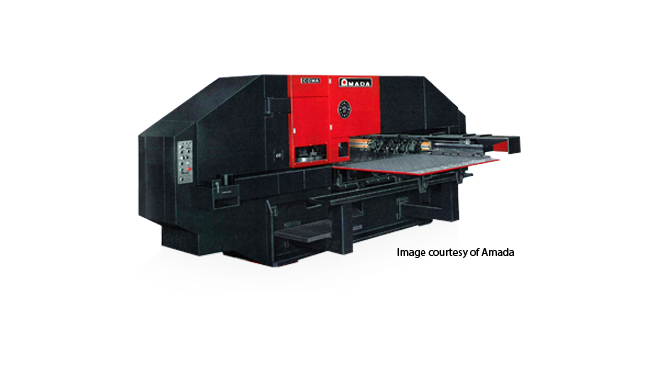 For superior turret punch press performance, look no further than the Amada Coma 588. The rigidity of the bridge frame guarantees stable and constant punching performance. High speed operations retain precision through and through. The TripleTrack Turret System reduces tool changing time. The Coma 588 is equipped with a high powered D.C. servomotor and compact turret disc, which helps increase the results from turret speed. Take advantage of all that the Amada Coma 588 has to offer when you program operations with SMP/IS.